Someone asked me the other day if you can grow a cactus using grow lights. I had never thought about it before, but I suppose the answer is pretty obvious: of course you can. Grow lights basically mimic the sun, so you can grow any plants that grow naturally under the sun using indoor plant lights. Just take into account the type of climate where those plants grow naturally and try to duplicate it as much as possible. In the case of cacti, they grow in hot, dry climates. You want to provide the same environment in your grow room. When we think of grow lights that mimic the hot, scorching sun, we naturally think of HPS lighting first. That is despite the fact that metal halide bulbs are actually closer to the sun’s true spectrum with their bluish light. But it’s the warm HPS light that reminds us the most of the sun, for some reason. The point is, when growing a cactus, we would think HPS lighting would work best. And that’s probably true. A big drawback of HPS lights is the heat. The strong 1000 watt lights, especially, really drive up the heat inside your grow area. You end up having to spend a lot of money getting rid of that heat and cooling the area down. But cacti love the heat, don’t they? Yes, they do! As you may have guessed, this means that you don’t need to worry too much about keeping your grow room cool. In fact, you generally don’t have to worry about it at all, unless you are growing in a space were something could catch fire if it gets too hot. But since cacti don’t need too much of a controlled environment, as long as the surrounding air is not too humid and moist, you really don’t need a grow tent either. You can simply grow your cactus directly underneath the standard HPS bulb and you will be fine. No grow tent or other enclosure to trap the heat in and no fabric from the tent to catch fire when the room gets too hot. That takes care of the biggest drawback of using HPS bulbs! And, of course, the same goes for MH bulbs. What about other lights, like fluorescent lights? Fluorescent light bulbs will work, but they are probably not strong enough to grow a cactus effectively. 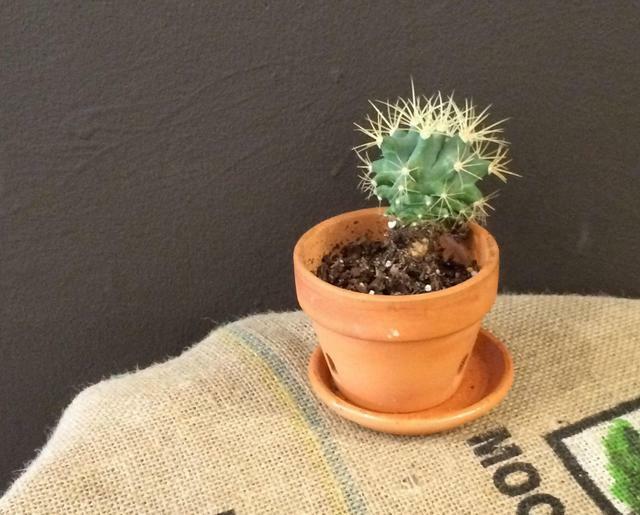 You could give it a try and I think a smaller cactus would grow fine, but a large one will probably be stunted. How about LED lights then? Well, these will work great, I believe. LED lights, especially the powerful ones like the thousand what HID equivalents, have very high PAR ratings. PAR stands for photosynthetic active radiation and refers to the light usable by plants, i.e. the light that plants actually converted to energy. Thus, it is the red and bluish spectrum, but not the green one. Sunlight and HPS and MH lights have a lot of green spectrum light, which goes to waste on plants. LEDs do not have green spectrum light, at least not traditional LEDs. It is different for white LEDs. They mimic sunlight much more closely and have a lot of green spectrum light. One theory is that mimicking the sun makes the grow light more effective. Another theory is that they would be more efficient without the green spectrum light, because all of the energy you put into the fixture would be used to provide only those spectra that the plants actually need. I subscribe to the second theory, so I think a light like the Kind K5 XL1000 would do wonders for growing cacti, just like it does for any other plant. Use of one of these in your cactus will love you. This ended up being a bit long-winded, but I think I answered the question. Yes, you can grow a cactus indoors using standard grow lights. Actually, come to think of it, I have seen many cacti growing indoors and they were growing without grow lights. They were simply grown under incandescent lights or under light coming through the window from outside. Based on this, cacti don’t need as much light as a lot of other plants, like marijuana. You also don’t have to hide them away, so you can grow them openly in your house. I guess you don’t need grow lights after all, but it would be pretty cool to grow a super cactus with one thousand watts of pure lighting power, wouldn’t it? So go give it a try! 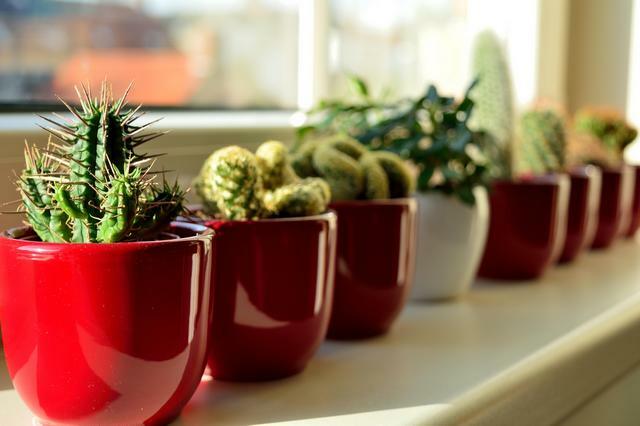 For more on growing cacti indoors check out this article on Gardening Know-How.